Failed windows? Repair them and save up to 70% over the cost of replacement! 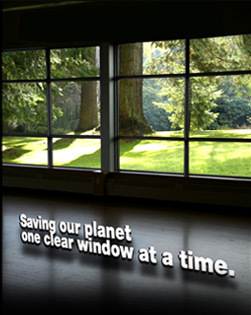 Failed windows are typically replaced at a significant cost to the owner and to the environment . But now there is an alternative. The Green Window Works Solution will remove condensation / moisture / water droplets, clear out fog and haze, and improve R-value. Our treatment is fast, inexpensive, and comes with a 20-year limited warranty. Our window treatment comes with a 20-year limited warranty. This warranty is transferable to new owners by transfer of the original receipt. more than three (3) months after initial treatment. A complete refund of the treatment price should the Green Window Works dealer be unsuccessful in removing visible water or water condensation from the interior of the window after a minimum of two re-servicings. Window re-servicing if water or water condensation reappear on the interior of the window after successful treatment. Glass replacement should breakage occur during treatment. The average thermal window installed today typically lasts less than 10 years. After this time, moisture build-up gradually occurs resulting in an obstructed view, permanent whitening of the glass, and reduced insulative capacity (R-value). Window warming during the day and cooling during the night causes the air space between the panes to expand and contract. Cycles of expansion and contraction create positive and negative pressure forces inside the window. These forces will eventually create and exploit small cracks in the window seal to draw air and moisture inside. To defend against moisture build-up and extend the useable life of a window, all windows are packed with a moisture absorbing material (‘dessicant’) such as silica in the spacer bar between the panes. Over time this dessicant will become saturated with water and will no longer protect the window. Initially a mist or fogginess may appear and disappear as the cycles of condensation occur. Eventually moisture levels will increase to the point where water droplets are continuously visible. Aside from obstructing the view and decreasing window R-value, this moisture can cause mineral deposits to form on your window (white scales) which over time will permanently mark the glass. Failed windows are typically replaced at significant cost to the owner. But now there is an alternative: The Green Window Works Solution which provides an economical and environmentally friendly alternative to costly window replacement.